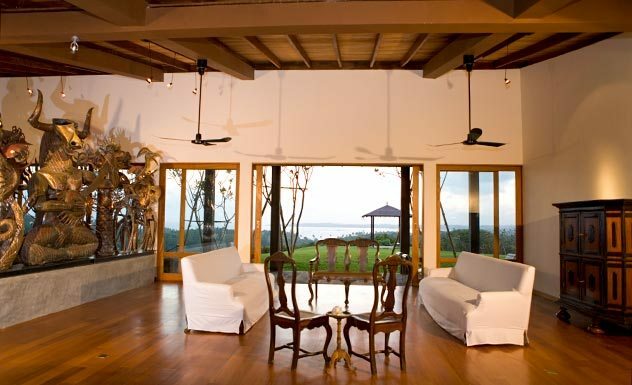 The three Mirissa Hills properties are set on an old cinnamon estate above Weligama Bay. 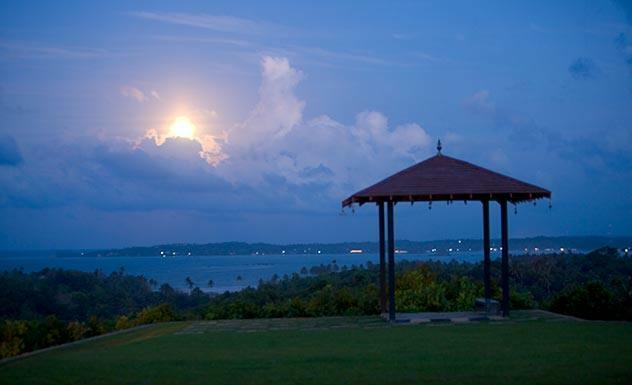 At the pinnacle of the hill is the highlight of the three properties, a luxury villa known as Mount Cinnamon. 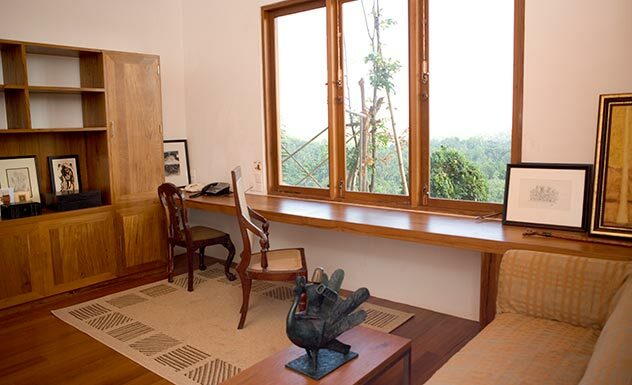 This was designed by Anjalendran, one of the country’s leading architects who trained under the late Geoffrey Bawa. 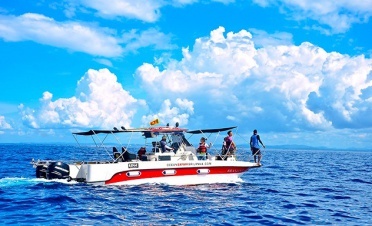 It offers commanding panoramic 360-degree views of the surrounding landscape – over Weligama Bay, and surrounding jungle, paddy fields and village temples. Halfway down the hill is the Cinnamon Museum. This is built on two floors with a central open courtyard. Here are four comfortable rooms on the ground level, decorated with colorful fabrics and fittings. 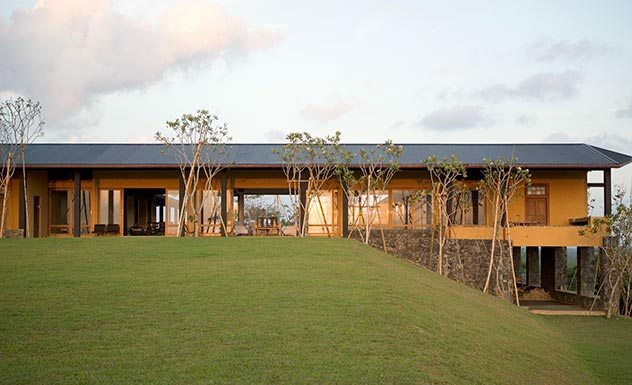 At the base of the hill you find The Bungalow, which is a restored estate house or ‘walauwa’. This features a well-kept lawn and garden where you can sit and enjoy breakfast in the morning and candlelit evening meals. 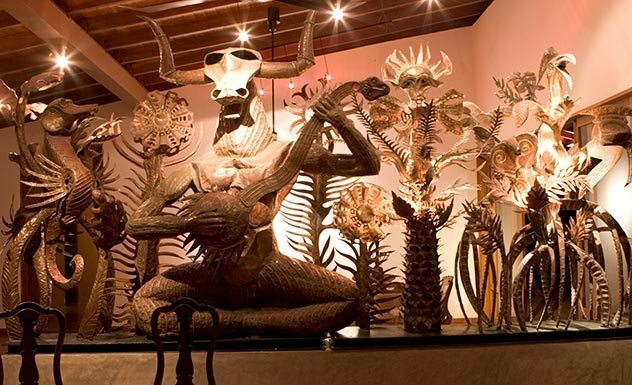 The three-bedroom house has been tastefully decorated, blending antique furniture with modern artwork. 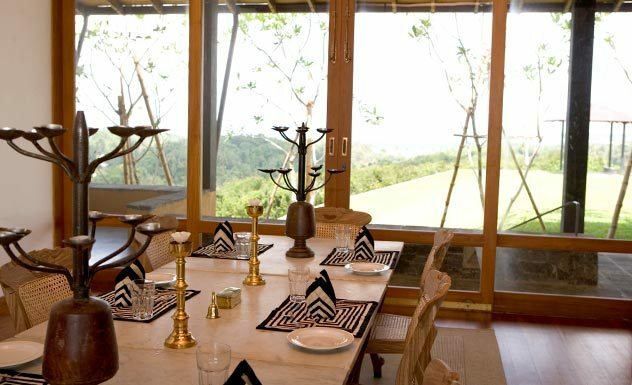 It is homely and ideal for a group of friends or family. This includes three double bedrooms and a single bedroom where an extra bed can be added. 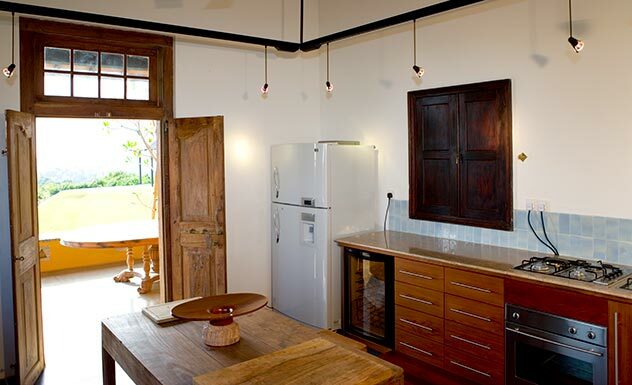 Each has an ensuite bathroom, ceiling fan and air-conditioning. 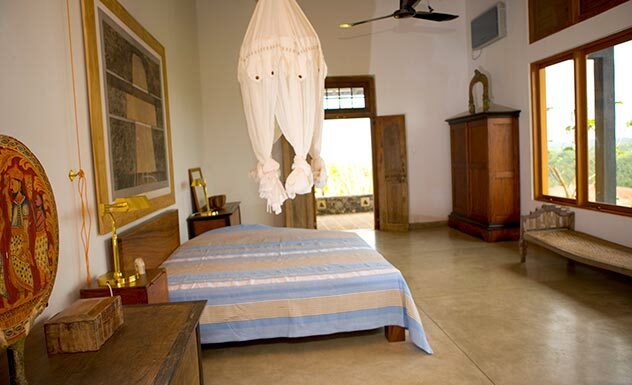 The rooms are elegantly decorated in natural, muted colors. The bed covers compliment the setting and is made from a special ‘cinnamon’ fabric. Here there are four air-conditioned rooms with double beds. The design is classic with contemporary fabrics adding color and flair. Each has an ensuite bathroom. There are three bedrooms with double beds, ensuite bathrooms, hot and cold running water, mosquito nets and ceiling fans. 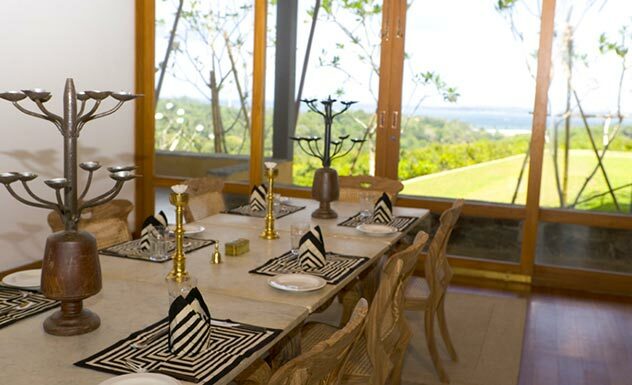 Mirissa Hills prides itself on the quality of the cuisine that is served. The majority of ingredients are locally sourced and many of the fruits and vegetables are grown within the estate grounds. Enjoy freshly picked papaya and bananas in the morning as part of either a Western or Sri Lankan breakfast. For lunch you can’t beat the rice and curry that’s one of the best around. 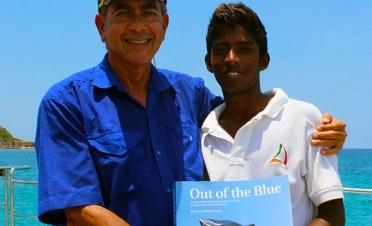 The fresh seafood is sourced from Weligama Bay. You can order prawns and crabs, which will be prepared, as you desire. Evening meals are served in the dining room or alfresco by candlelight. We recommend that you try the signature Mount Cinnamon Sour cocktail as a sundowner! There is a microwave for preparing baby food and a selection of wines to choose from. Mirissa Hills is family friendly and welcomes children. 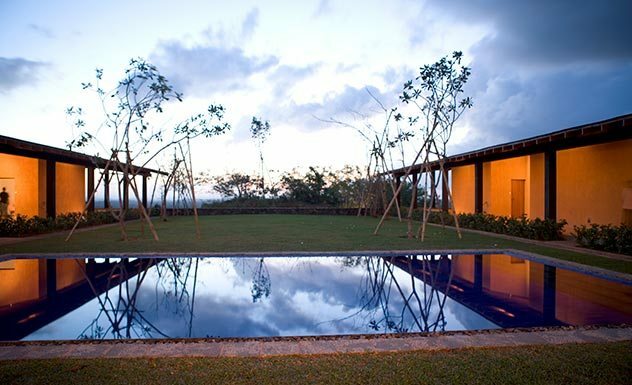 Mount Cinnamon and The Bungalow are more suitable for families as they have gardens and their own kitchens.